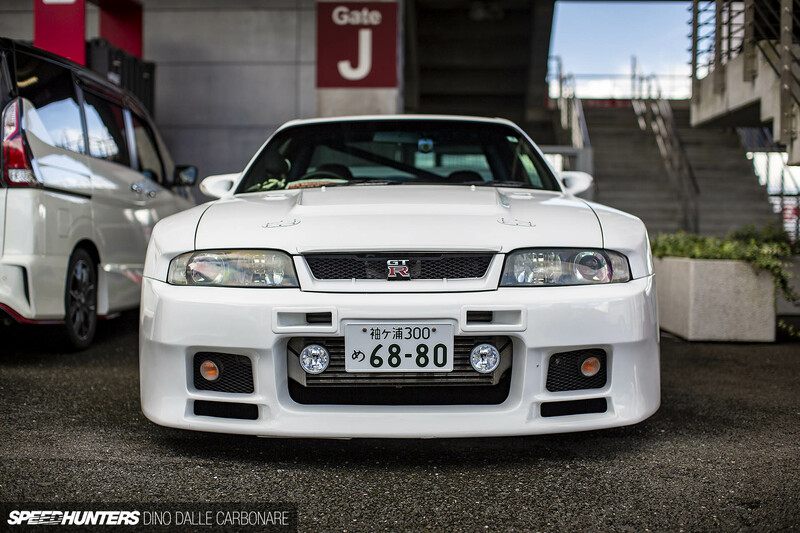 There’s no hiding the fact that the R33 generation of the Skyline GT-R was a tad on the bulbous side. It’s possibly the reason why this model is often regarded as the unloved iteration of lineage; but it could also be the most loved one if you’re someone that likes to stand out and not follow popular trends. The BCNR33 definitely has its own character, and for a lot of diehard fans it’s actually the one to have given the impressive accolades under its belt. It’s the only GT-R to have been raced at Le Mans, and the only GT-R to have set an official Nürburgring Nordschleife lap time. So you can understand why people choose the R33 – and then go and visually enhance it, just like this example I spotted parked up in Fuji Speedway’s upper paddock area during last Sunday’s R’s Meeting. There was no way I could leave without shooting a spotlight on it. 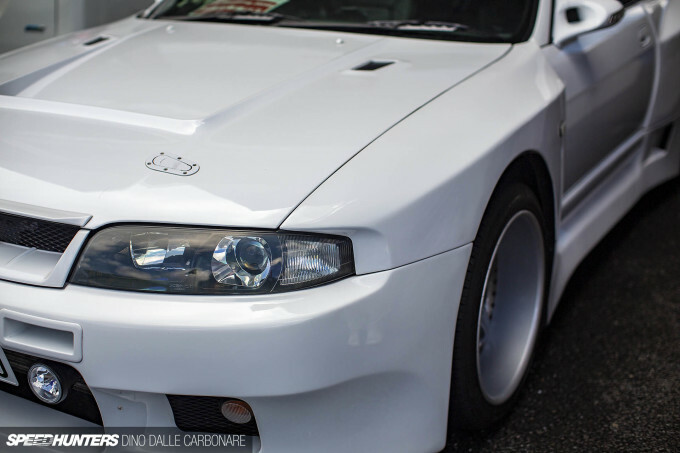 It’s not every day you see an R33 fitted with the Wise Sports wide-body kit, something straight out of the mid-1990s. Being so wild, it’s almost hard to believe this kit made it to market. I’ve only seen a handful of cars with the conversion but never up close, so I took this rare opportunity to take it all in and check out all the details. In 1995, the Team Zexel BCNR33 competing in the JGTC ran a Wise Sports wide-body conversion. 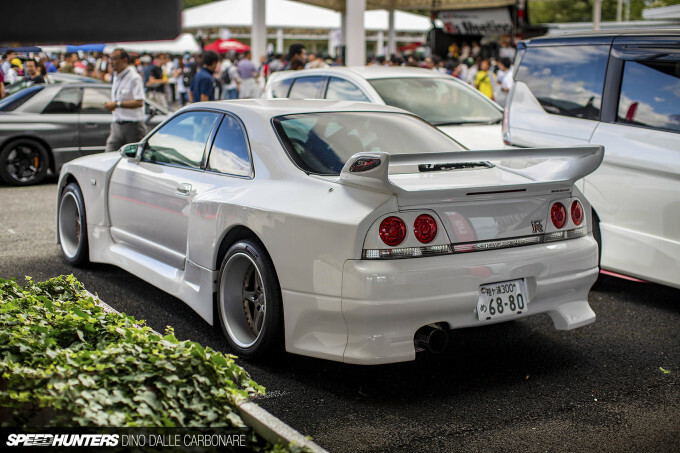 It was the second year of the newly-founded Japanese Touring Car Championship, which up until 1993 was called Gr.A, and also the first year the R33 competed. With the new regulations, competing cars could run a wider track, and it was Wise Sports that was asked to come up with a crazy aero package for the Zexel entry. 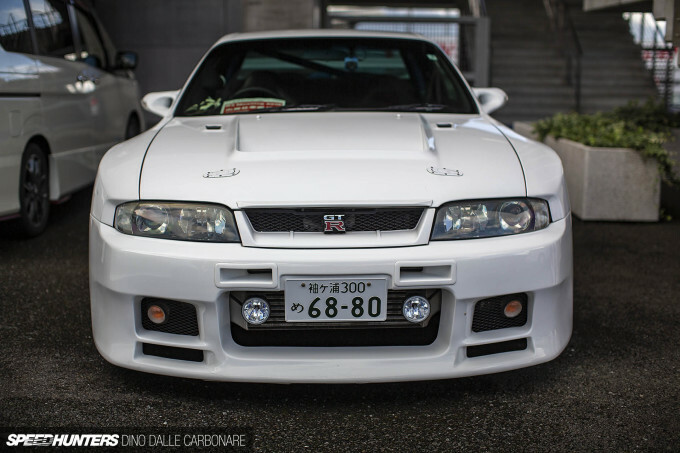 Then Wise Sports did something even cooler – they offered a road-car kit for anyone that thought the big and chunky R33 GT-R needed a little more girth. 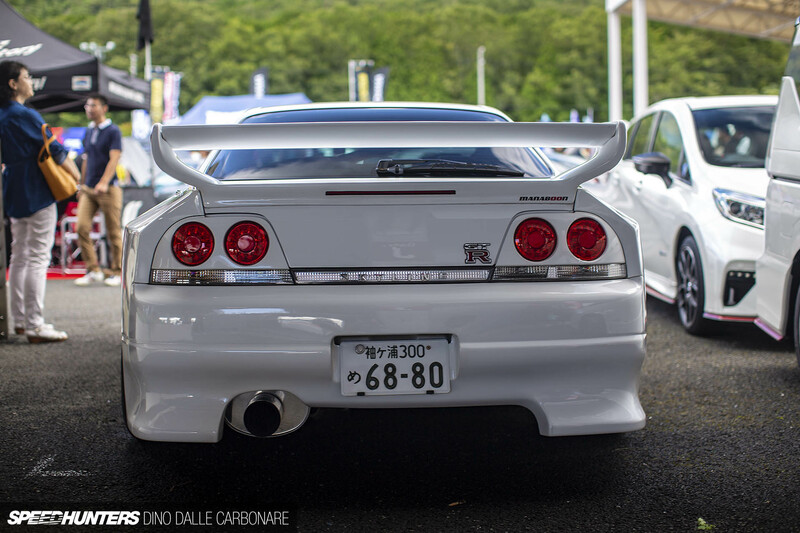 This kit was all about aggression, and you can tell just how much wider the rear end is from this angle. 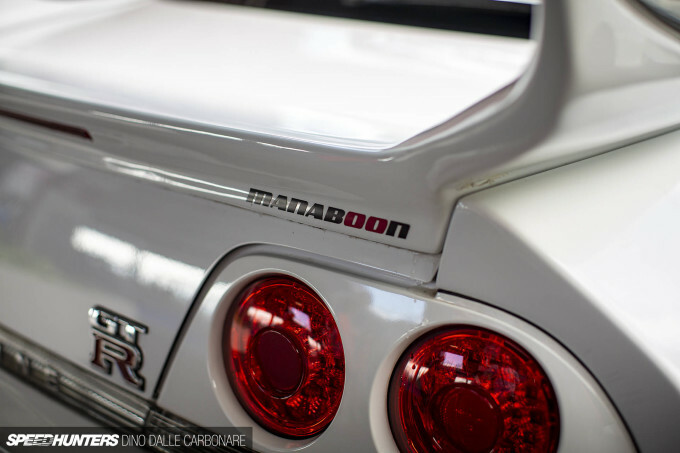 This particular car was recently sourced and sold by Manaboom, a car dealership specializing in sports cars. 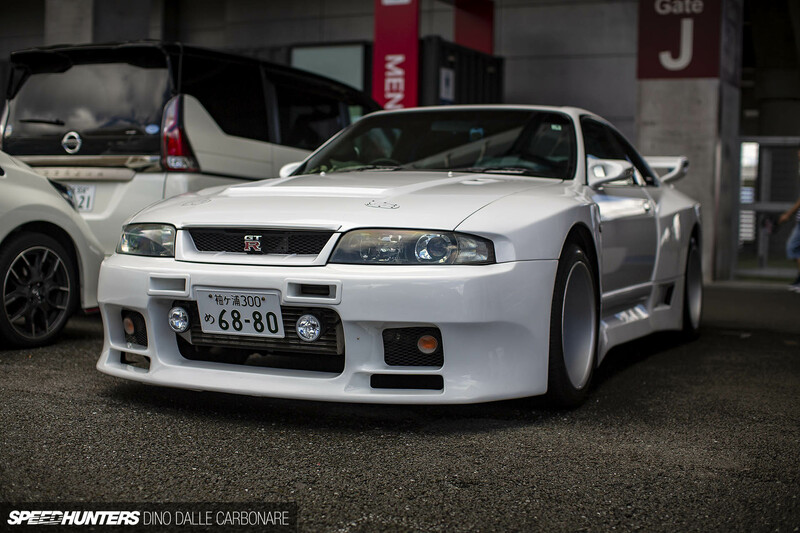 Under the hood there’s an N1-based engine with oversized pistons that push capacity to 2.7L, and a pair of Nismo R1 turbos. Compared to the aero kits we’re used to seeing these days, the Wise Sports conversion looks very basic and almost clumsy in design, but it certainly accomplishes that race-car-for-the-road feeling. Filling up the massive arches are 18-inch SSR Evolutions sporting a 12-inch width and shod in 315/30ZR18 Pirelli P-Zero tires. The same size is of course used at each corner – the ATTESA system would complain otherwise. 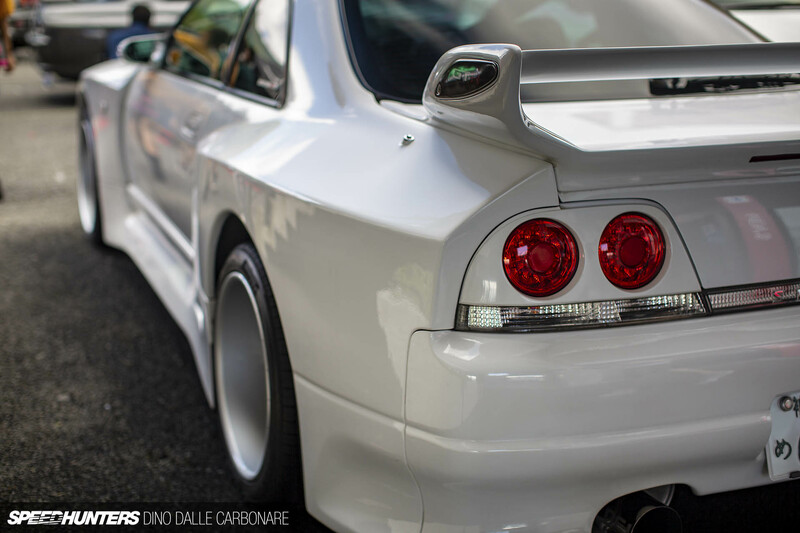 I don’t expect that this R33 will appeal to all, but you certainly can’t argue what it’s all paying homage to. For some, wider is better.